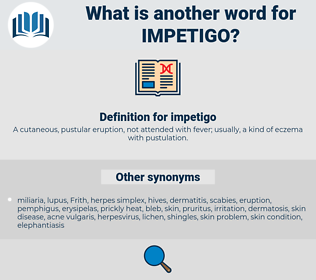 What is another word for impetigo? 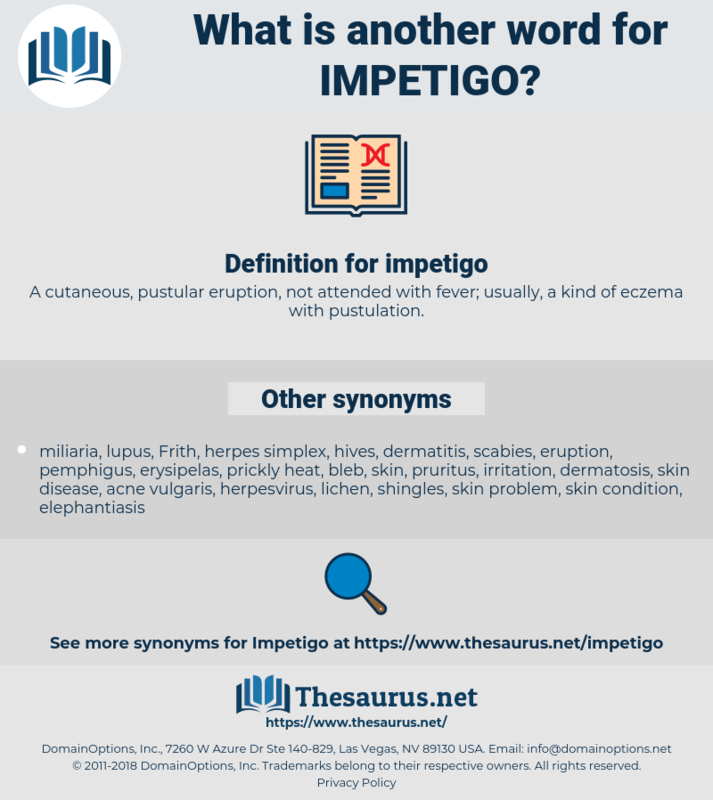 A cutaneous, pustular eruption, not attended with fever; usually, a kind of eczema with pustulation. disease of the skin, skin disease, skin disorder.